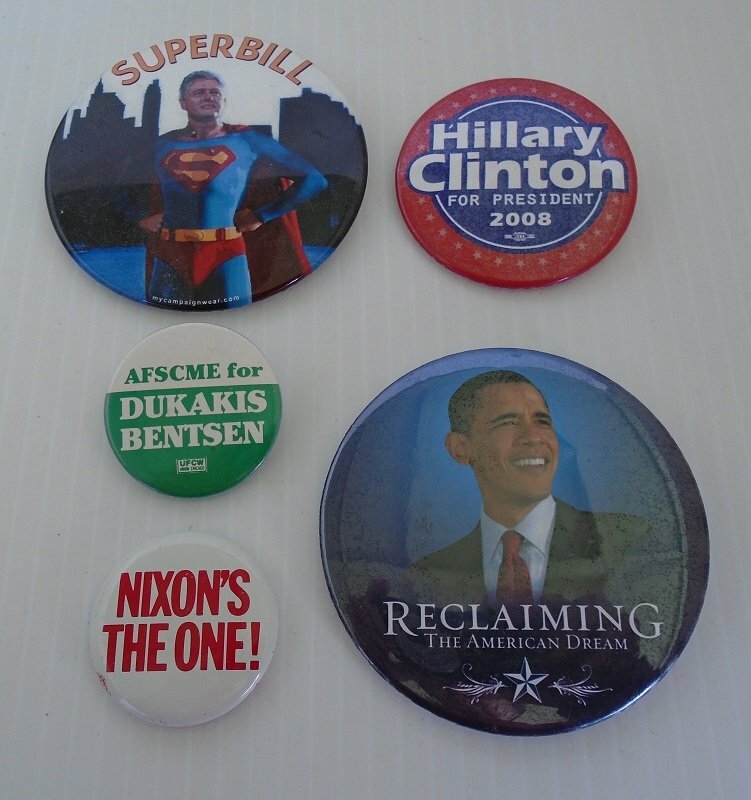 Group of 5 Presidential campaign pinback buttons. Bill Clinton, Hillary Clinton, Barack Obama, Richard Nixon, Michael Dukakis and Lloyd Bentsen. There are 5 different political pin buttons offered in this lot. All are from various Presidential campaigns. The sizes run from 1.5 inches to 3 inches. Included are the Clintons, (both Bill and Hillary), Barack Obama, Richard Nixon, Michael Dukakis and Lloyd Bentsen.